Description: the basis of the mixed polyadic encoding of arrays of lengths of series and colour co-ordinates. Got expression for determination of middle volume of the compressed video picture, the middle number of machine operations, expended on compact presentation of image is calculated, mean time is found the video of information expended on a compression. Gurzhii, P.M. and Koroleva, N.A. 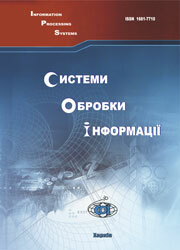 (2008), “Otsenka stepeni szhatiia i vremeni obrabotki izobrazhenii v telekommunikatsionnykh sistemakh”, Information Processing Systems, Vol. 6(73), pp. 37-40.